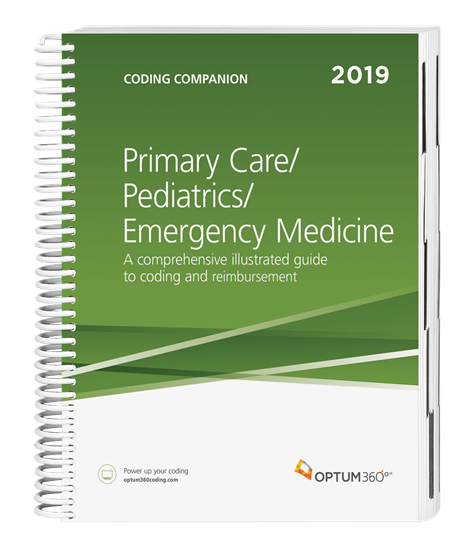 Consolidate the coding process with the Coding Companion, your one-stop coding resource developed exclusively for pediatrics, emergency medicine and primary care providers. This comprehensive and easy-to-use guide is updated for 2019 and organized by specialty-specific CPT® codes. Each CPT®code includes its official description and lay description, coding tip,Medicare edits, relative value unitsand is cross-coded to common ICD-10-CM diagnosis codes to complete the coding process. Getting to the code information you need has never been so easy. Code icons.Quickly identify new, revised, and add-on procedure codes related to your specialty.